Also known as �Real Power� or simply �Power�. Active power is the rate of producing, transfer or using electrical energy. Measured in watts and often-expressed in kW or MW. An Amp is a unit that measures the rate of flow of an electrical current. The charge for the amount of power made available to the clients premises. It is related to the agreed supply capacity. The distribution company sets the rate and it is expressed in kVA. The agreed maximum supply capacity, measured in kVa, which a customer is allowed to take from the distribution system through their connection point. Customers pay a monthly charge for each unit of capacity. The maximum demand should not exceed the ASC. The minimum amount of electricity being used during non-operational hours. Believing that market prices are about to fall. The British Electricity Transmission and Trading Arrangement introduced in 2005 covering England, Wales and Scotland, replacing NETA which did not cover Scotland. Trading whereby two parties (for example a generator and a supplier) enter into a contract to deliver electricity at an agreed time in the future. Believing that market prices are about to rise. The ratio of energy to volume measured in mega joules per cubic meter (MJ/m). These are used to add capacitance to the supply to eliminate the reactive element of the load. A scheme in which greenhouse gas emissions are controlled by setting a cap on total transmissions and allowing the market sectors to reach an economically balanced response via trading of emissions allowances. Allowances are allocated initially, perhaps through a free distribution or through an auction, and the total allocation is adjusted periodically. A gas fired electricity generation plant. The benefits of the Climate Change Levy Discount Scheme result in up to 80% discount on the CCL in return for meeting energy or carbon saving targets. A reduction of the CCL agreed as part of a trade sector Climate Change Agreement. An agreement between the Government and a business user, whereby a reduced rate of Climate Change Levy is payable in return for a commitment by the user to achieve certain pre-determined targets for energy usage or carbon emissions. A charge introduced by the Government on 1 April 2001 on UK non-domestic fuel. The Government�s aim when introducing the levy was to encourage business to use less energy, and contribute to the reduction of Carbon Dioxide emissions. Published in 2000, it sets out the government and Devolved Administration strategic approach to tackling Climate Change and meeting the UK's Kyoto target of a 12% reduction in greenhouse gas emissions from 1990 levels by 2008-2012 and the domestic goal of reducing C02 emissions by 20% by 2010. Carbon Dioxide - A Greenhouse gas. The simultaneous production of electricity and another form of useful energy (such as heat or steam) through the sequential use of energy, resulting in increased efficiency of fuel use. CHP is very efficient technology for generating electricity and heat together. A CHP plant is an installation where there is simultaneous generation of usable heat (normally for space heating) and power (usually electricity) in a single process. CHP typically achieves a 35-40% reduction in primary energy useage compared with power stations and heat only boilers. A gas fired power station where the waste heat is used in manufacturing or district heating. The monthly fee payable by a customer, which covers the collection of half hourly data by the meter operator. This can be billed direct by the MOP or passed on through the current supplier. Agreement between client and the local distribution company (for example Central Networks in the Midlands) setting out the terms and conditions with which each are bound concerning the provision and use of the connection. This indicates a supply offer, which has all delivery charges (DuoS & TuoS) built into the unit rates for the supply of electricity. Any structures, equipment, lines appliances or devices used or to be used by any customer and connected directly or indirectly to the Rec�s network. The organisation appointed to aggregate the meter-reading data received from the appointed Data Collectors and forward it to suppliers. The organisation responsible for collecting, processing and validating the meter reading data, who then passes the information to the Data Aggregator. The interruption of supply, so that electricity cannot flow from the network to the premises. The planning, implementation, and monitoring of activities designed to encourage consumers to modify patterns of electricity usage, including the timing and level of electricity demand. The permanent removal of the meter, cabling and service from the property once it is established that a supply will not be required in the future. This permanently removes the MPAN. The local wires, transformers, substations and other equipment used to distribute and deliver energy to consumers. Department of Productivity, Energy and Industry, formerly known as the Department of Trade and Industry. The charges incurred for distributing electricity across the local area system to the supplied premises. A generator with a direct connection to a PES�s distribution system, rather than NGC�s transmission system. A non-governmental body set up to safeguard the interests of energy users. The White Paper is the first comprehensive, forward-looking statement of UK energy policy for over 20 years. The white paper sets four new goals for energy policy: to put ourselves on a path to cut the UK's carbon dioxide emissions by 60% by the year 2050, with real progress by 2020, to maintain the reliability of energy supplies, to promote competitive energy markets in the UK and beyond and to ensure that every home is affordably heated. Enhanced Capital Allowances (ECAs) enable a business to claim 100% first-year capital allowances on their spending on qualifying plant and machinery. The EU ETS is one of the policies being introduced across Europe to tackle emissions of carbon dioxide and other greenhouse gases and combat the serious threat of climate change. The scheme will commence on 1 January 2005. The phase runs from 2005-2007 and the second phase will run from 2008-2012 to coincide with the first Kyoto Commitment Period. Further 5-year periods are expected subsequently. A penalty charge being applied by certain suppliers to clients who are drawing kVa above their Available Supply Capacity (ASC). This can be three times the contracted pence per kVa rate. A point of connection at which a supply of electricity may flow between the Rec�s system and the client�s installation, suppliers installation or the distribution system of another person. A methodology for identifying where and how energy is used on a site within core processes and then making recommendations for reducing usage and or eliminating waste. Gas supplied to a customer on a guaranteed basis, without interruption. A monthly of quarterly charge levied by the supplier and is in addition to the standing charge. An agreement to buy electricity from another party at a specified time in the future at a specified price with money changing hands at the delivery date. An energy source formed in the Earths crust from decayed organic material. The common fossil fuels are oil, coal, and natural gas. Similar to a forwards contract these are normally trade through an exchange on standard contract terms with profits or losses calculated and paid daily. A pressure reduction station located on the customers� premises where gas is reduced from mains pressure regulated at a medium or low pressure for domestic or industrial use. In relation to a settlement period, the time 3.5 hours before the start of that settlement period. It defines the moment when bilateral contracting ends and the Balancing Mechanism for each associated trading period begins. This covers the production of electricity at power stations. At present the main fuels used are gas, nuclear and coal, although there is now a growing use of renewable forms of energy, such as wind power, the burning of gas from landfill and waste incineration. A unit of power equal to 1 billion watts; 1 million kilowatts, or 1,000 megawatts. A point of supply from the national transmission system to the local system of the distribution network operator. Guaranteed Service Standard � customer service standards of performance that are set by OFGEM. This is the product of the half-hour data meter. The data is used for invoicing, tendering and reporting purposes. High Voltage (Normally 11,000 Volts). A situation where there is a difference between the amount of power produced and the amount of electricity contracted or sold. A connection or link between power systems that enables them to draw on each others' reserve capacity in time of need. Gas supplied to a customer whose site has an alternate fuel source, on the basis that the supply might be interrupted for a specified period. Regulatory demands on industrial activity throughout the EC are more stringent than ever. The Integrated Pollution and Control (IPPC) directive means companies face new aspects for consideration, controls to put in place and an increase in work required to obtain and comply with environmental permits. Also known as Total Power. The resultant effect of the active (kW) and reactive (kVAr) power is the total power measured in kVa. Kva = kW/power factor. A standard unit of electrical power equal to 1,000 watts, or to energy consumption at a rate of 1,000 joules per second. A unit of energy consumption. A typical home uses around 3,300 kWh of electricity per annum. An international Agreement signed by countries agreeing to limit or reduce their global emissions. When natural gas is cooled to a temperature of approximatley -160 degrees at atmospheric pressure, it condenses to a liquid called Liquified Natural Gas (LNG). Natural gas is composed primarily of methane (typically at least 90%), but may also contain ethane, propane and heavier hydrocarbons. The amount of electric power delivered or required at any specific point or points on an electrical system. The requirement originates at the energy-consuming equipment of the customer. Measures the relationship between unit consumption and maximum demand and is the percentage capacity utilisation figure of a site's power consumption. To calculate load factor take the total number of units of consumption, divide by the maximum demand, divide by the number of hours in the period, and multiply by 100. The process of shifting the use of electricity from periods of high demand to periods of lower demand, when the cost of electricity is usually lower. Low Voltage, normally at 240 or 415 Volts. The fixed energy base load of the total curve. This can be purchased either all at once or step-by-step. The highest average demand (in kW or Kva) occurring in a half hour period. The equivalent to one thousand kilowatts (kW). The organisation appointed to install and maintain metering equipment. A unique reference number identifying each meter and used in the preparation of supply tenders. A 13-digit number (the bottom line of the Supply Number) made up of the: Distributor Identifier (first two digits), the company which provides the distribution network for the supply address. Meter Point unique reference (11-digit number), which is linked to the supply address. The Meter Point Registration System is owned by the distribution companies. It contains all the MPAN�s for that distribution area. The maximum load that a generating unit, station or other electrical apparatus can carry under specified conditions for a given period of time without exceeding approved limits of temperature. This came into force on the 27th March 2001 and replaced the old �electricity pool�. NETA is a new wholesale market, comprising trading between generators and suppliers of electricity in England and Wales. Under NETA, bulk electricity will be traded forward through bi-lateral contracts and on one or more power exchanges. Those trading will include generators, suppliers, traders and customers. National Grid Company, the company which runs the England and Wales Balancing Mechanism and transmission system. Non Half hourly sites � sites that take a power supply less than 100kW. Office of Gas and Electricity Markets. When a plant is not operating because there is no demand for its services the plant is 'mothballed'. A Power Factor is a measure of how effectively electricity is being used on a site. Certain types of equipment cause poor power factors, which reduces the capacity of the network to supply power. Distribution companies will charge customers for this through reactive power charges. Charges applied to a client�s invoice in cases where certain suppliers and distribution companies enforce a penalty for reactive power use. Any alteration to the existing system designed to enable the system to distribute an increased amount of electricity. Energy derived from resources that are regenerative. This includes solar power, wind, wave and tide and hydroelectricity. Wood, straw and waste are often called solid renewable energy, while landfill gas and sewerage gas can be described as gaseous renewable. The obligation placed on licensed electricity suppliers to deliver a specified amount of their electricity from eligible sources. A site survey is the process used to obtain a preliminary assesment of energy use. It is carried out on site and usually includes a review of current energy policy, energy managment processes and staff awareness and an inspection of all on-site power services and areas of major energy use. Supply Offtake (Daily) Quantity measures in kWh. The difference between market price and the cost of production. A Monthly or quarterly charge levied by the local distribution company. 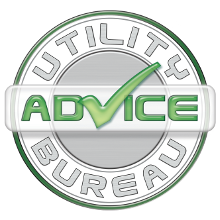 The term often used when a property owner installs a separate meter to monitor the consumption of a utility such as water, gas or electricity. A contract between a supplier and the customer to supply electricity at an agreed tariff for an agreed duration of supply contracts are of 12, 18 or 24-month duration but longer and shorter are possible. The price paid in the Balancing Mechanism by a party that requires more energy to meet its contractual commitments. Prices are often volatile and very high. The price paid in the Balancing Mechanism by a party that has produced more electricity than it had customers to buy. Prices are very volatile and often negative, meaning that a payment would need to be made to dispose of the unwanted electricity produced. The equivalent to one thousand gigawatt hours (GWh). The Carbon Trust is an independent, not-for-profit company, which was created by the UK government. The Carbon Trust helps business and the public sector cut carbon emissions, and supports the development of low carbon technologies. This is a unit of measurement for gas. 1 therm is equal to 29.3071kWh. This is priced like a normal contract with fixed price all inclusive rate at agreed signing. An association of firms that operate in a specific industry. UK gas transportation and emergency service. Used for the calculation of TUoS Charges, the TRIAD is calculated by looking at the three maximum demand points (in kW) of the supply at half hourly time periods, and then averaging the total. The figures used are usually selected from winter months, and at peak times, as these periods are set to reflect the point at which the highest demand occurs on the National Grid. The charges incurred for transmitting electricity across the National Grid network from the source of generation to the network of the local distribution company. The level of these charges is usually calculated by applying a rate charge to the TRIAD demand level. In 1997, representatives from over 170 nations met in Kyoto, Japan to put together a new global treaty - the Kyoto Protocol to the United Nations Framework Convention on Climate Change (UNFCCC) - laying down legally binding reductions in greenhouse gas emissions throughout developed countries. A device that reduces (or increases) the supply voltage for example a 11000/415 Volt transformer would convert volt supply to 415 volt supply.